No, I am not repeating what others have already flooded the blogging world with i.e. how to jailbreak and unlock OS4.0 on iPhone 3G. I will only share my story of how I jailbroke and unlocked my iPhone and what all hindrances I faced and how to overcome all those to finally have iOS 4.0 on your iPhone 3G. It may save you $50+ as professional hackers are charging to do it. I was happily using iPhone 3.1.2 before I tried upgrading to 3.1.3 and got my phone locked. Later I came to know that the baseband had also been upgraded and it was not possible to downgrade it or jailbreak/ unlock it. 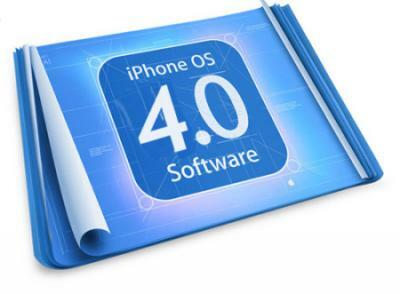 I had not option but to wait for iPhone OS 4.0. The wait was quite long (1.5 months) but fruitful I must say. Ever since iPhone OS 4.0 released, I was eagerly waiting for the iPhone Dev team to create the jailbreak and unlock tools for iOS 4.0 and as soon as the message came that redsn0w beta and ultrasn0w 0.93 has been released, I picked up my iPhone and started trying it. I started Googling, the best thing I do, about iPhone’s unlock and jailbreak. I referred to www.blogsdna.com for majority of things. I downloaded iOS 4.0 and Redsn0w 0.9.5 Beta 5. My laptop had iTunes9.0 so I thought of using that one only and tried restoring iOS 4.0 but it failed with an error “iPhone can’t be restored, unkonown error (13)“. I tried it number of times but in vain. Then I downloaded iTuens9.2 and installed it. After it completed, I got “No SIM card installed. Insert a valid SIM with no PIN lock to activate iPhone” message, that means I was on right track till that moment. And the happiest moment came when I could see my iPhone starting up and I could see it working. I was the happiest man on earth at that particular moment. To unlock it, I had to install Ultrasn0w 0.93 from the Cydia but the problem with me was I could not download it from the Cydia on my iPhone as I did not have access to either GPRS (obviously) or WiFi, so I started Googling again and fortunately found an article to do it using my laptop. As the article suggested, I had to restart my iPhone twice to make it working and it really worked for me. And I became the proud owner of iOS 4.0 on my iPhone 3G. This is how I got my phone jailbroke and unlocked. Hope this is useful for everyone who are novice like me and would love to save money too.